I recently attended HPRA’s BRAVO Awards where Armando Correa from People en Español was being honored. During his acceptance speech, Correa shared that the Spanish-language magazine has been around for 20 years. Two decades! I have been working in PR for 14 years, with the last 10 dedicated to Hispanic programs. The comment caused me to consider the impact that we Latinos have had on media and marketing, but it was also a reality check. 1. Go digital—or go home! This might surprise some, but Latinos have been driving trends in technology for years. They lead in the adoption of new devices (you hear that, iPhone X? ); over-index in mobile usage, particularly video streaming; and they are more likely to shop online (on their mobile, of course). These consumers are always connected and are engaging with brands they like on Facebook and Instagram. Yet, digital only accounts for 20 percent of the total Hispanic ad spend in the U.S. Brands need to recognize that to engage in a dialogue with Latinos, they must lead with digital. Otherwise, you run the risk of being perceived as an old-school, irrelevant brand among today’s hyper-connected Latino consumers. Our clients often ask us whether English- or Spanish-language content will resonate more with Latinos. The correct answer is both. Latinos in the U.S. are growing up bilingual and can speak and understand both languages. Therefore, language shouldn’t be a barrier, but rather an opportunity to get your message across in more than one way. The key is to be culturally relevant. Consider content produced by LeJuan James, one of the largest Latino influencers on Instagram with 1.8M followers. His captions are usually in English, while his videos use a combination of English and Spanish to showcase various situations faced by Latinos in the U.S. (i.e., first person in the family to graduate from college) in a humorous way. When it’s about older family members, the dialogue is in Spanish; whereas “younger” friends, cousins, etc. tend to communicate in Spanglish. Before creating content, marketers need to know who they are targeting—older, unacculturated Latinos or younger generations—to determine which language will resonate best. Recent catastrophes in Puerto Rico, Florida and Mexico City have proven that Latinos are committed to more than just their immediate family – it extends to their entire community. Weeks after the disasters, there are still relief efforts taking place on social media. Celebrities like JLo, Luis Fonsi, Carlos Ponce, and Gloria Estefan continue to raise awareness of the progress that has (or hasn’t) been made in reestablishing these communities; ensuring they are not forgotten. And that’s a special trait among Latinos. Our passion and commitment to our culture is lived daily in the way we raise our kids, teach them about our heritage and traditions, and speak to them in our language. Brands that recognize this and honor Hispanic values will establish a deeper and stronger relationship with this consumer. Latinos are frequently portrayed as being passionate – and for good reason. They tend to trust their heart instead of their gut feeling when making decisions. When a Latino “likes” a product, they show it. They will follow it on social media, recommend it to friends and family, and visit more than one store to buy it. 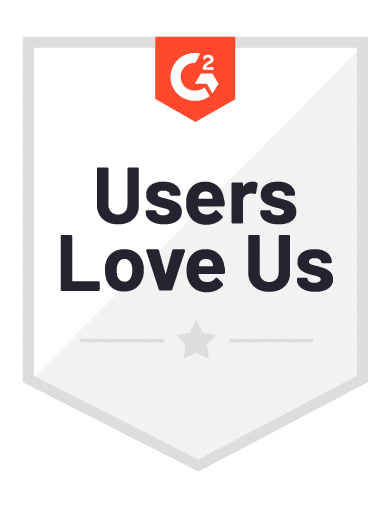 Your product might be better than the competition’s, but if you haven’t found a way to our hearts, chances are we won’t be paying your product much attention. Many of today’s leading brands have recognized and even toyed with the idea of launching a Hispanic program. Reality must set in: Latinos are not only here to stay, they are continuing to grow in numbers and impact. Now is the time for brands to show their commitment to Latino consumers. But in order for them to succeed, and truly align with this audience, they need to develop culturally relevant content that supersedes stereotypes and speaks to our heritage, our passion, and our uniqueness. Originally from Mexico City, Maria Amor leads Havas FORMULATIN out of the PR agency’s Miami office. She has nearly 15 years of PR experience with the past decade dedicated to helping brands establish an emotional connection with Latino consumers.